Wildland fire boots are one of the most important equipment when it comes to fighting fire. They carry you into the fire and you have to depend on them to get you out. Spending days trekking through slopes and dangerous conditions can be a hard task for a man to do. That’s why choosing the best pair of wildland fire boots is crucial. You should be looking for very comfortable fire boots, from a trusted seller, which are best at what they are doing. We reviewed the best 10 boots out there at the moment and hopefully we will help you decide which ones suits your needs the best. These boots are great for the price, on top of that they are made of leather. They have oil resistant lug sole which protects you from heat up to 500 degrees. The steel hooks and brass eyelets are made very strong. You don’t have to worry replacing the soles because they are also fire resistant. 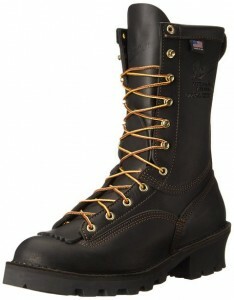 The customer reviews are mainly positive and many claim that these boots are the most comfortable pair they ever wore. These boots will handle all the heat so you can focus on doing your job properly. 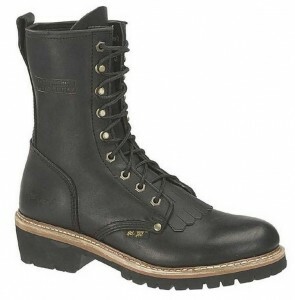 The Thorogood Firestalker Elite boots are made of leather which is oil tanned. They meet the requirements of NFPA 1977-2011. You can remove the footbed at any time and replace it. The soles are fire protected. They have mostly positive feedback, only downside I’ve found is that you need to wear them some time till they get comfortable. 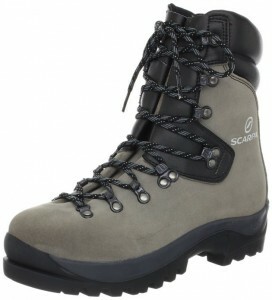 Scarpa Fuego boots have probably the best customer feedback of all. They meet all the NFPA 1977-2011 requirements. I can ensure you they will fit great because they have double gusseted tongue. These boots uses fire resistant Vibram soles. Many buyers of these boots stated that they are very comfortable and that they are the best wildland boots they ever wore. The White’s Boots Smoke Jumper are made of leather which is full grain oil tanned. They use fire resistant Vibram soles. 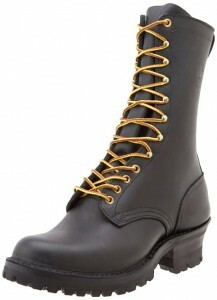 These boots are 10 inch tall, with patented arch ease design. They meet the NFPA 1977-2011 requirements. Proven to last many years in rough environment. The buyer feedback is rated as 5 stars, with lots of positive comments. 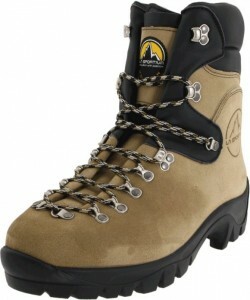 The La Sportiva Glacier WLF boot is made out of leather. Sole is heat resistant up to 300 degrees, while glue resistant up to 70 degrees. They are not designed for heavy wildland fires, but more light forest work. The buyer feedback is decent, but if you are looking for heavy fire boots you should look at other choices we suggested. 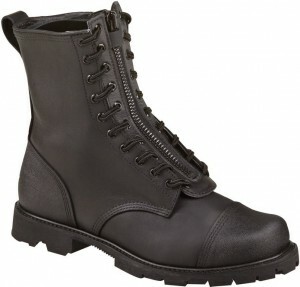 The danner Flashpoint 2 are made of leather. They are build with fire resistant Vibram soles. They are 10 inch tall and meet all the requirements to be NFPA 1977-2011 certified. 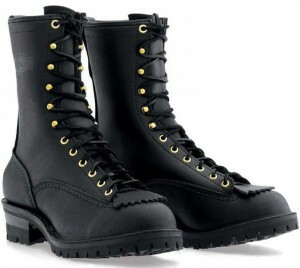 Danner have proven themselves through the history to be great quality boot manufacturers. Buyer feedback is mostly positive, rated between 4 and 5 stars. These boots are constructed in the US with premium full grain leather. They are build with fire resistant Vibram soles and are 10 inch tall. They meet all requirements for the NFPA 1977-2011 protective clothing and equipment for wild land firefighting. They come with nylon laces and tongue guard. They are 4 star rated with mostly positive comments. They need some break in time before they get really comfortable. 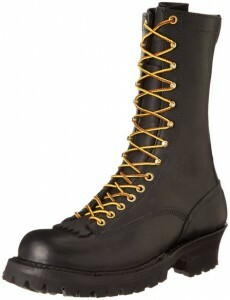 These Wesco Firestormer boots are made out of lather. The have fire and oil resistant Vibram soles. Comes with black leather laces and removable insole. It meets the protective clothing and equipment NFPA 1977-2011 requirements. They are rated as 5 star, with positive comments and many said they beat the top fire boots manufacturers. These boots are very cheap for what they offer, specially because they are made of lather. They are 9 inch tall and got a plain soft toe and fire, oil resistant lug sole. Will last long and are great for forest fires. Don’t need long to break in, else very comfortable. Rated as 4 star, with many positive reviews. Buyers commented that they have used them in various jobs and that they lasted long. 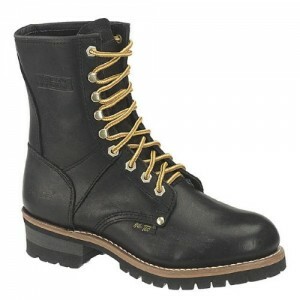 These leather boots are made in the USA and they use Vibram soles. They meet the NFPA 1997-2011 requirements. The upper is leather oil tanned and is flame and cut resistant. The toe and heel counter are scuff resisting. As reading buyer reviews on other sites, they claim that this is a great firefighter boot and that it last many operations. 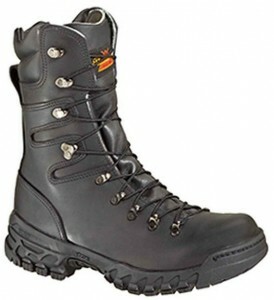 This is our list of the best 10 wildland fire boots. We hope you will decide easier now which fire boots to purchase.